March, 2017 | Fulcrum ConsultingWorks Inc. There is no such thing as no risk. This podcast describes how to ensure risk management balances overall and portfolio risks compatible with organizational goals while not slowing down the process. An environment of fear prevents successful growth. Sometimes the fear is rational, but more often it is not. Responsible leadership communicates proactively, and speaks honestly and boldly at all times. Most of us know that “one piece flow” is generally preferable to large batches in production. Yet we continue to volunteer for large costly batches in our office processes. Stop it! Rebecca shares insights on how key metrics can lead to short-sighted decisions, even widely accepted metrics like productivity. 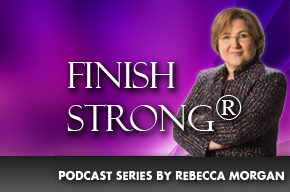 Rebecca shares how to idenitfy people who can create a future that we can’t even predict, and succeed there.